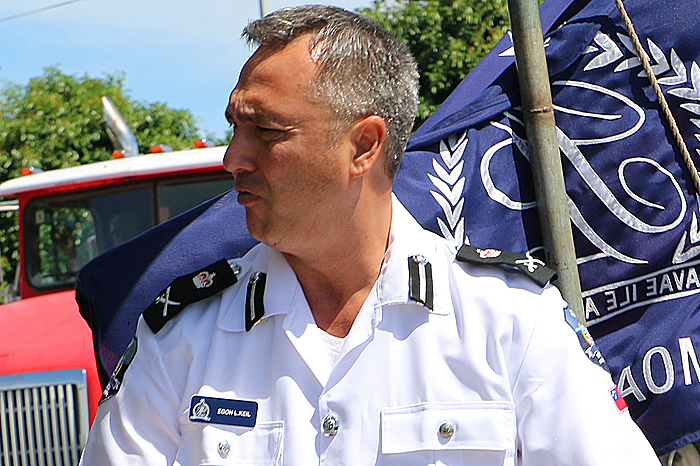 Police Commissioner, Fuiavailiili Egon Keil, has been detained in a Police cell. It happened when he arrived at work this morning, after charges against him in relation to the wrongful arrest of a member of the public last year were dismissed last week. A police officer who is not authorized to speak to the media confirmed Fuiava’s arrest. He could not provide the details but said they are awaiting a Registrar from the Court to clear him so he could be released. It was not possible to obtain an official comment from the Police.